Cardiff property management, Cardiff property managers, Cardiff property management companies | Income Property Advisors, Inc.
We offer a full range of property management services tailored to you as an investor, homeowner, or landlord. Income Property Advisors’ mission is to offer high quality and efficient property management. Our secret is simple- PRESENCE. We are there for you and your property like it isn't just a rental but a home. A management fee of 5% of gross rent. We offer a unique Non-Exclusive Management Program. You can CANCEL at any time. Based on over 20 years of experience. A proactive approach to property maintenance is one of the most important ways to ensure that your property will produce the income you desire. We have a network of licensed and bonded vendors to perform maintenance on your rentals. You can use our vendors with confidence and receive preferred pricing for services performed. If you are interested in increasing the rent potential and the unit’s future value we have the experience and network of vendors to handle all your Capital improvement needs. Our owners have the option of directly selecting, supervising and paying for any needed repairs. Cap for any repair over $200 except in the event of emergencies. Your repair costs are deducted from the monthly rents we collect. We have access to the latest tools to verify an applicant’s credit score and payment history. We check an applicant’s unlawful detainer record to reveal any past evictions that they were involved in. We not only verify their job, we look at their job history so that you can understand their job stability. Interviewing previous landlords reveals an applicant’s rental history. History is an excellent indicator of future behavior. Our marketing services are made up of four key components. An in-depth analysis of competing properties in the neighborhood is performed to ensure that your property’s rent is set at the correct amount. We walk through and analyze every property we take on. Our goal is to spot improvements that can be made to help you maximize the rent potential of your investment property. We also do a full health and safety check before your new tenant moves in. We know where to advertise and how to write ads to attract good tenants. 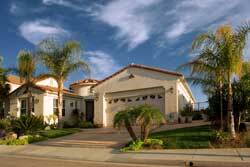 We use the most up-to-date California and San Diego County leases. We can tailor an individual lease to meet your individual property needs. We review the applicable rules and regulations, of the lease, with the tenants as part of our move-in process. We get a signed and verified tenant inspection check list. We take the tenant through the rental and go over any issues that may exist. As a company our goal is to make your property’s finances transparent and easy to understand. We don’t have hidden fees. Monthly management fee of only 8% of collected rent with a minimum of $100. Your choice of either paper or electronic distribution of your funds. Reports that let you track your property’s financial health. We also supply you with an annual statement for filing your tax Schedule E.
Cardiff-by-the-Sea, usually referred to as Cardiff, is a beach community located in Encinitas, bordering Solana Beach to the south in San Diego County, California. The Pacific Ocean is to the west of Cardiff, Encinitas on its east and north, and a beach and lagoon on its south. With a population of under 12,000, Cardiff-by-the-Sea operates as part of the city of Encinitas, but unlike the other communities that comprise Encinitas, has its own ZIP code (92007).